Check out DISLOCATIONS on Amazon. 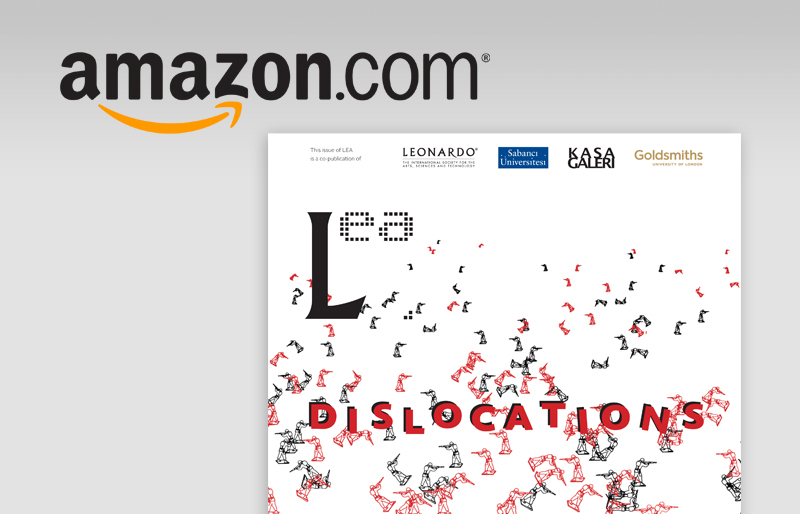 Leonardo Electronic Almanac presents its second catalog Dislocations available on Amazon. Dislocations showcases the artworks that were exhibited on the Media Facade of the Museum of Contemporary Art, Zagreb and part of the 12th Istanbul biennial. The catalog sees the collaboration of several international institutions: Kasa Gallery, ISEA2011 Istanbul, Goldsmiths College and Sabanci University. Dislocations presents the artworks by Charles Csuri, David Cotterrell, Danielle Roney & Jeff Conefry, Matthias Fuchs and Songul Boyraz that interpret in a variety of aesthetics and media forms the theme of conflict and war. The exhibition program was curated Lanfranco Aceti and Tihomir Milovac. The catalog is authored by Lanfranco Aceti; Ozden Sahin (Editor), Deniz Cem Onduygu (Art Director) and Zeynep Ozel (Designer).